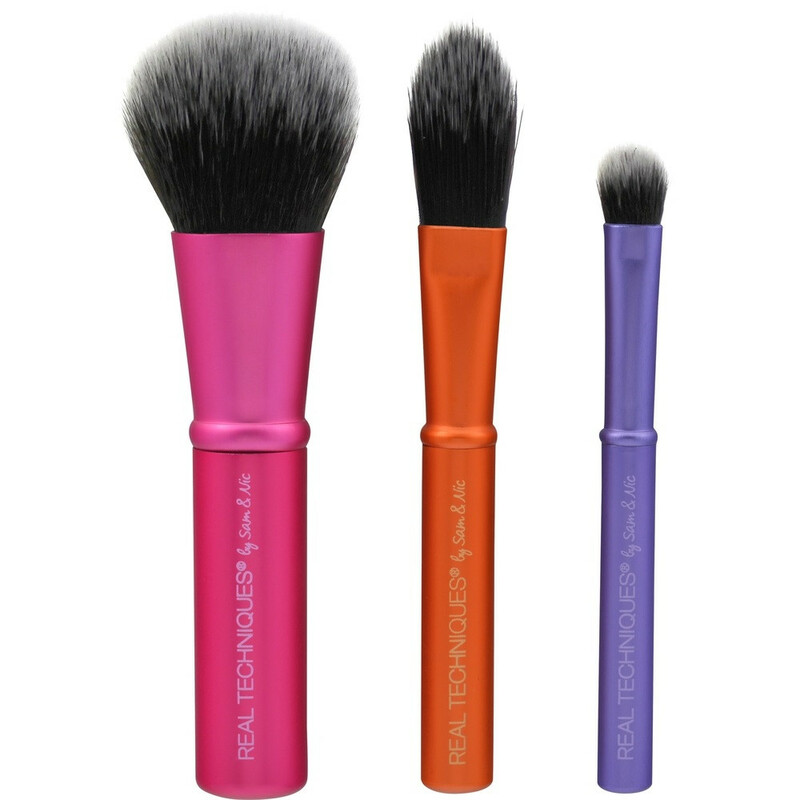 A handy travel sized trio to help you create any look on the go. 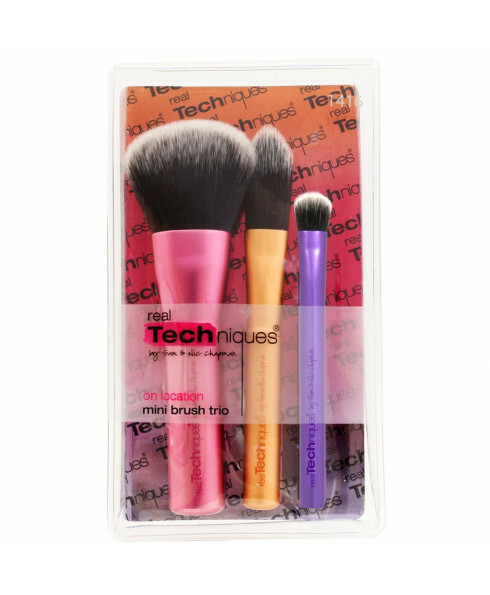 Featuring a foundation/concealer brush, a small eyeshadow brush and a mini powder brush, they are ideal for touch-ups, and the handy pouch ensures your handbag is kept clean and tidy. 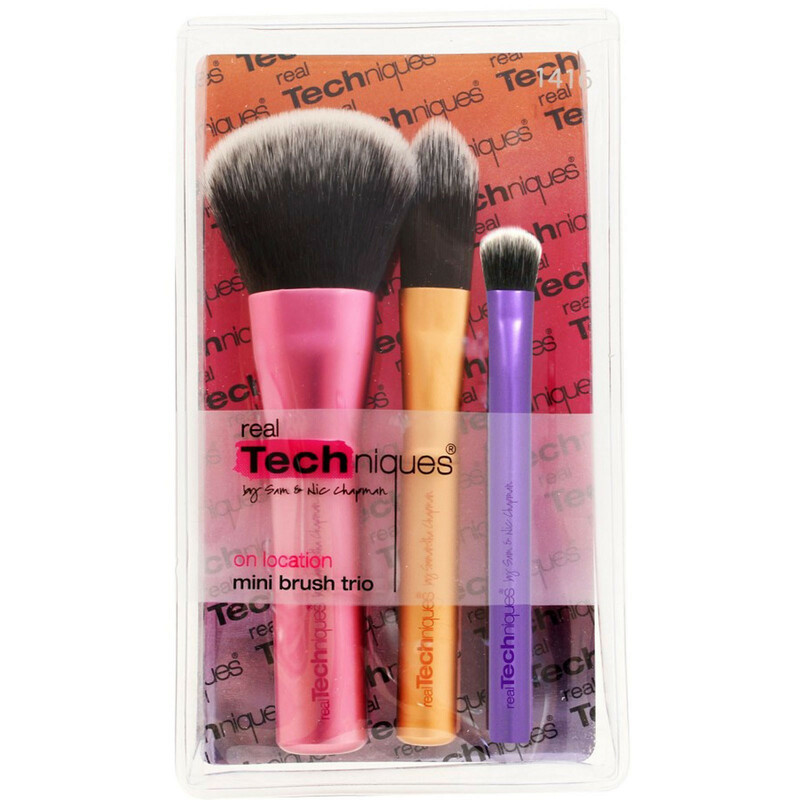 Contains:Mini Foundation BrushMini Shading BrushMini Face Brush.